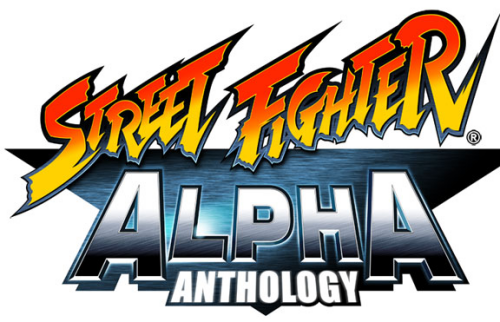 Street Fighter Alpha Anthology (SF Zero Generations) – Playstation 2 – Dip Switches. If somebody knows who’s the author of this, please let me know and also providing a source is welcome. – In the 10 frames with a standing heavy kick attack decision, it is impossible to block in the last 6 frames (can’t go into the blocking stance). If the player is attacked in that period (while doing the okiagari, etc.) then they won’t be able to block and will take the hit. – Carry out the normal knockdown (animation) pattern and become invincible. – If the command entry is done fast enough, the hit decision will remain and he will fall to the ground allowing him to take combos that would normally not be possible. – In earlier versions before it was adjusted, Guy’s normal moves had high dizzy settings. The adjusted moves were 1: Standing Light Punch, 2: Standing Medium Punch, 3: Crouching Light Punch, and 4: Kubikari (2nd part). In training mode, when the attack data display was turned on, the stun (dizzy value) line would change to reflect it. – Can’t use the Kouten Okiagari move. – The Shun Goku Satsu command is displayed as “Light Punch, Light Punch, ?, Light Kick, Heavy Punch” but internally “Light Punch, Light Punch, ?, Light Kick” is enough to initiate it. – All of the standard move cancellations are an 8 frame period. Each character has certain moves they can’t cancel, but Charlie has no such limitation (Charlie can cancel out of any move within the correct timing). -Standing Heavy Punch, Crouching Heavy Punch, Crouching Medium Kick, Crouching Heavy Kick are all impossible to cancel. – Possible to cancel the moves within the correct timing period. – The Sobat (holding analog stick and performing a standing medium kick) attack decision timing speed, movement speed, and delay after the attack were adjusted. – After the Super Combo Jaguar Varied Assault was initiated at Level 3, by repeatedly pressing punch or kick, different moves were supposed to be performed, but due to an original program error they would not. – If the focal point of the attack decision between the player and opponent is more than 96 dots apart, the player does not go into the blocking stance and for characters with long reaches a hit would be registered. – Character does not enter the blocking stance, so blocking is not possible. The front of Sagat’s standing light kick is unblockable by any character. – Do not enter the blocking stance and do not block. For times when not near the edges of the screen and sliding (crouching medium kick) or using a heavy kick on an opponent getting up, blocking is impossible. – The Aura Soul Spark finishing animation turns into a diagonal sun effect. 1-13 Charlie The Sonic Boom performed in the first step of the Sonic Break is a frame late. – After the crouching heavy kick attack decision is finished, the decision is made for a powerful hit in the frontal direction. – A hit decision is made for a much larger hit than expected based on the action on-screen. – It is possible to have an unlimited number of Psycho Shots on the screen at once. – His status during a taunt changes. – He takes the crouching position. If he takes a hit in this state, the decision for a crouching hit will be made. – Change the Shinku Gadoken voice. – Change the Hurricane Kick (holding down analog stick and performing a medium kick) voice. – Change the throw voice. – Change the Hyakkishu’s punch throw and kick throw voice. 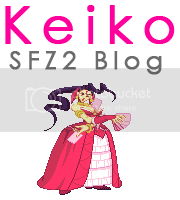 – Change the color scheme for Rose’s Soul Illusion silhouette to the one in Alpha 2 and later versions. – M. Bison is still considered in the air during the Somersault Skull Diver motion from when M. Bison lands to when he returns to his normal stance. Therefore if an original combo is cancelled midway and an attack is executed it will be floating and cannont be blocked with a defensive crouch. – Grabbing an opponent out of an original combo does NOT end the combo. – The above Tengu-walking move can be executed with a player is dizzy. Doing so will make them invincible until the move’s final animation frame. – Animation frames remain during the Vega Warp during an original combo. They are calculated in the hit detection and therefore can damage the opponent. – After being made dizzy by being knocked flying/tumbling, the no knockback flag is left raised when getting up. – When a player is hit with Heavy Electric Thunder, the time between hits (1 frame per hit) is too quick for the opponent to block before getting hit again. For an air block, the only way this will end is if a) Blanka stops the move B) the opponent’s guard is crushed or c) the opponent runs out of health and loses the round. The A-ism Alpha Counter will not result in a spinning fall. – If a character becomes dizzy due to a throw, but uses a throw escape, they will be left invincible and escape. – By initiating Tengu Walking while invincible (damage from being knock flying without falling), the character would remain invincible into the move. – By using a mid-air escape at the edge of the screen and then doing an air block, the character would land with a block hit stance. If that character then canceled out of the stance and performed something (a light attack combo), they would be invincible throughout the movement. – By blocking 32 hits in a row with the same block stance, the guard power gauge would start acting funny and drop rapidly. – For combo attacks (including throws) that aren’t powerful enough to finish the characters, the attack power drops to its minimum (1) in Saikyo Mode. – When throwing a person getting up (right before they start being dizzy), they will have another dizzy mark. – When performing a Custom Combo, if a throw is performed before the recovery time runs out, then the remaining time will still be active once the opponent is released and for that remaining time (several frames), they would be stuck on the ground before they could move. Due to this, depending on the distance the opponent during the push of Zangief’s Atomic Suplex would get stuck and not move away. – Gen’s Jakouha Super Combo could grab opponents despite their invincible or unthrowable states. – In V-ism during close quarters fighting, close quarter moves would automatically be used so the distance attacks couldn’t be used. – Can turn animation for the counter hit on and off. – If the Bad Spray move was used while invincible, the invincibility would continue into the move. – This changes whether or not the gauge fills up for missed grabs. – For a mid-air throw, if the character landed between the grab pattern and the second pattern, the opponent would be thrown and the character would just be spinning alone. – After canceling the landing from an air attack by crouching, the opponent couldn’t escape, but can do it now. – There was no delay after missing an air grab, but it was changed so that there would be a frame of delay like other characters. 3-02 (SFA3) Akuma, Charlie, Adon, Guy, Rose, Sakura, Dhalsim, Cammy, Juli, Juni – In V-ism, if an Original Combo is performed mid-air and not followed up by anything until landing, the player would be invincible (no hit decision). – It is possible to air block Birdie’s standing kick. – In the eighth stage of the Turn Punch, there is no decreasing of the guard gauge. – Add a symbol to the title screen. – The close quarters heavy punch would be counted as a medium knockback, but now is a heavy knockback. – It was possible to air block the taunt before, but now it is not possible. – It was possible to air block the latter half of the Spin Drive Smasher, but now it is not. – It was not possible to air block the Spiral Arrow, but now it is possible. – It was not possible to crouch block the Spinning Bird Kick, but now it is possible. – It was possible to air block the first part of the Level 2 Oni Musou attack, but now it is not. – The Raging Typhoon’s grab distance was 1 dot, but is bigger now. – The letters heaven (?) or father (? )that appear during a super finish will remain on the screen until the beginning of the next round if move connects with the opponent’s attack at the same time. – Item ball thown by player causes the “round the world” effect. The item ball thrown remains or disappears based on this option. – Ken’s ending switches between the ending in which Ken is hit by Elisa or one in which he is not.